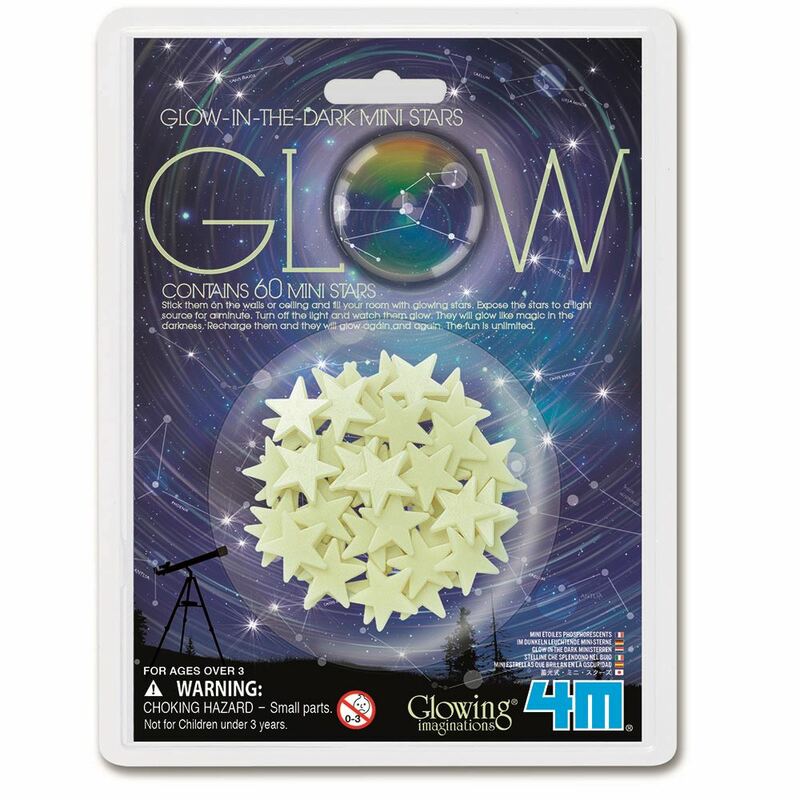 Light up any surface with these wonderful 4M glow in the dark mini stars. Expose the Glow Mini Stars to a light source for one minute. Turn off the light and watch them glow. Includes: 60 glow mini stars and double adhesive tape. Age 3+ years. Part of the Glow range. Distributed in New Zealand by Holdson.